Convenient & Affordable Coffee Service – The Way It Should Be! With Perks@Work, you get a fully-customizable coffee service experience, delivered and restocked on your busy schedule. Coffee is a big deal to a lot of people. A BIG deal. Let Perks@Work perk up your employees with our fully-managed coffee services that are both convenient and affordable. 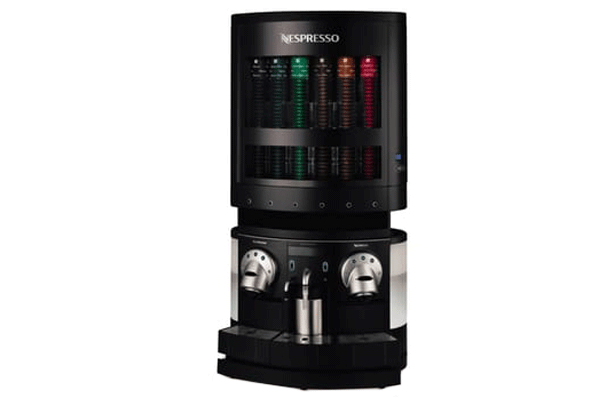 All of our equipment is absolutely FREE to install and maintain – you just pay for the coffee and supplies! Give Your Breakroom Some Perk! Patented extraction system to brew the perfect cup of coffee, every time. Aeroccino milk frother to create gourmet lattes, cappuccinos, and macchiatos. More than 30 varieties of coffee, espresso and flavored blends to choose from. Stand apart from the rest. Impress your clients and employees with a fresh ground coffee option. If convenience and having a large variety of coffee, espresso, tea and hot chocolate is important to you, a single serve machine is the way to go. Traditional brewed coffee equipment is perfect for large offices and industrial company break rooms that need to quickly fuel a crowd on a tight schedule.